Erv Woolsey was presented the NATD Colonel Tom Parker award at the annual ieba conference on Tuesday, October 17th in Nashville. Lee Ann Womack was on-hand to present the award to her long-time manager. Erv Woolsey currently manages George Strait, Dierks Bentley, and Lee Ann Womack, among others. Pictured (l-r): Tony Conway (Womack's Agent), Lee Ann Womack, Erv Woolsey, and Joey Lee (Womack's Agent). Erv Woolsey has partnered with restauranteur Steve Ford in opening a new Nashville country nitery, "The Trap," located across from the former Adelphia Stadium, home of the Titans NFL team. Erv, who manages both George Strait and Lee Ann Womack, promises there will be some 'big name' acts entertaining there from time-to-time. Recently there was a party held for Country baritone Trace Adkins. Erv also has had some interest and success in Quarter Horses obtained from the George Strait Ranch in South Texas. 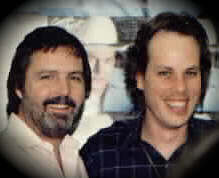 Erv Woolsey is the career-long Manager and friend of George Strait. He has spent his entire professional life in the music business. After graduating from SWT in 1969 with a bachelor's degree in business, Erv Woolsey landed his first music industry job in the promotion department at Decca Records in Houston. He spent time at several labels before moving to Nashville in 1973 to direct promotion for ABC Records' newly opened country division. 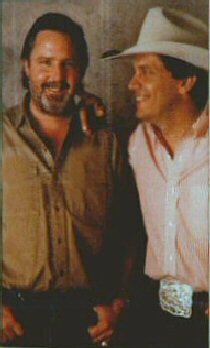 Mr. Woolsey later joined MCA where, in 1981, he persuaded label head Jim Fogelsong to sign George Strait to a recording deal. In 1981"Unwound" was Strait's debut single, and went to number 6 on the Country charts. 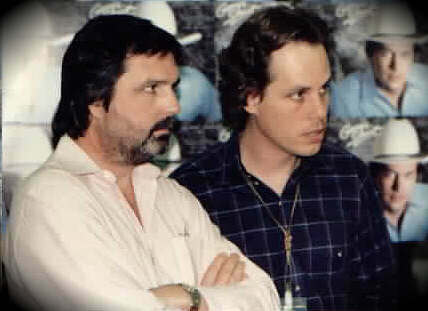 He was on his way to a long superstar career with the friendship and guidance of Erv Woolsey who left MCA in 1984 to devote full time to managing Strait's career. He also manages Clay Walker and LeeAnn Womack, among others. Mr. Woolsey co-wrote the song "In Too Deep" with Jerry Max Lane on Strait's "Something Special album," and "I Can Still Make Cheyenne" with Aaron Barker, which was a No. 1 hit for four weeks, and which Strait still does in his live shows. Erv Woolsey is a member of the Country Music Association, the Academy of Country Music, the National Academy of Recording Arts and Sciences, the International Music Business Association, the Nashville Entertainment Association, and the Nashville Association of Songwriters. George Strait has had and continues to have a phenomenal career. The fact that Erv Woolsey has been beside him for the entire ride speaks for itself. As a fan I appreciate the guidance and friendship Erv has given to George, and as a music lover I am grateful for Erv's wonderful contributions, especially "I Can Still Make Cheyenne." 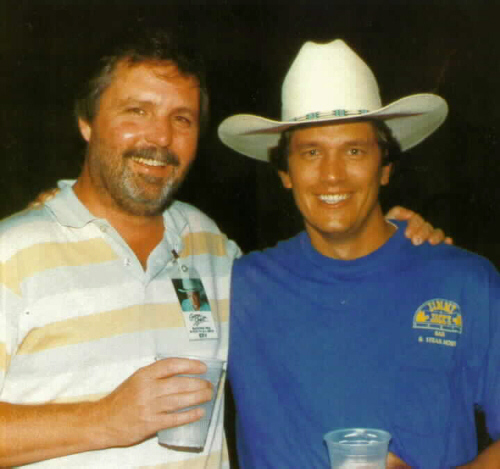 Erv with Tom Foote, original Ace in the Hole Drummer, then Road Manager & Head of Security for George Strait.